Class 10 Board exam students often find Sanskrit subject a bit tough which is justified given that Sanskrit is not a language students speak on daily basis and hence are not fluent in it. CBSE Board Exam 2019: CBSE Board Exams for class 10 will begin in the latter half of February. The board will begin the examinations with Vocational subjects first. The board exams will be wrapped up earlier in 2019 and consequently the board exam result will also be announced a bit earlier. With only a couple months left for the board exam, students must be preparing for the board exams fervently. Here we will guide students about the exam pattern and marking scheme for Sanskrit paper. However, if done right students can easily score more than 90% or even score full marks in this paper. Sanskrit question paper will carry 80 marks. Like any other language paper, it will be divided in sections. 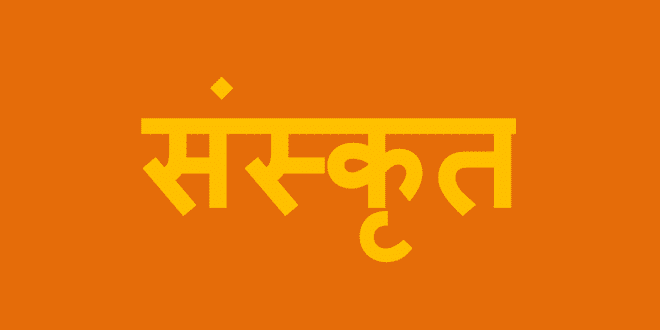 Sanskrit paper will have total four sections and 16 questions with internal options and sub-divisions. Students will be allowed a time of three hours to complete answering the question paper. The questions as well as the instructions for question will be in Sanskrit and students would have to answer all questions in Sanskrit only. Students re advised to work through sample question papers repeatedly and read the instructions too so as to not be confused with instructions written in Sanskrit on the actual day of the exam. Section A will be unseen passage. This section will carry 10 marks. There will be one unseen passage and very-short answer type and one-word answer type questions will be asked from this section. Section B will be creative writing. There will be two questions in this section. In one question, students will be given a letter or a passage with blanks and they will have to fill the blanks with words that would complete the sentence in a meaningful manner. In the second question, students would be given a prompt and some words to write a passage. The passage should be grammatically correct, stick to the theme or subject provided, and must have minimum 5 sentences. For this question try to construct meaningful sentences which lead to a conclusive argument. Section C is Sanskrit Grammar. This section will carry 25 marks and is the least time-consuming of all the sections. If a students has prepared enough, they will be able to score full marks in this section. There will be 7 questions in this section, each with sub-parts. Read the instructions very carefully before answering. Section D will have questions from the textbook prescribed to students. Questions will mostly be very-short answer type and short-answer type. Read the chapters prescribed in your textbook carefully. The key to scoring good marks in this paper is to memorize the grammatical rules and read the questions carefully.